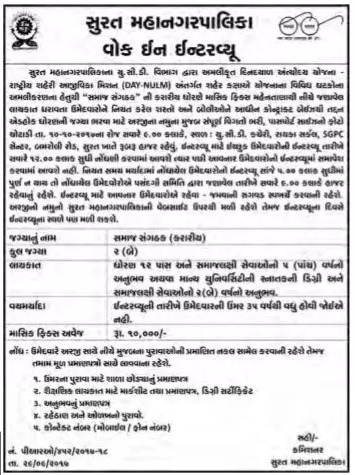 Surat Municipal Corporation (SMC) has published Advertisement for below mentioned Posts 2017. Venue: U.C.D. Office, Rayka Circle, SGPC Center, Bamroli Road, Surat.